Rock House Brewing started as a collection of home brewers and craft beer lovers with diverse backgrounds. 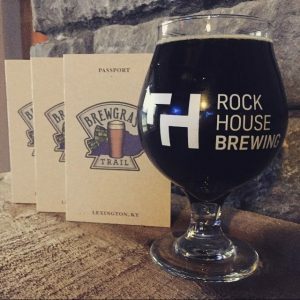 Their brewers have all found a home in Lexington, KY and a wish to join the ever-growing craft beer scene. Their mission is to produce a wide range of top quality beers and provide a welcoming environment for people of all demographics to join and socialize. 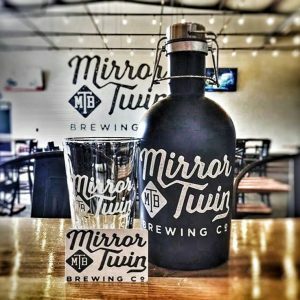 Mirror Twin Brewing was started by a small group of craft and home brewing enthusiasts. Their style pulls from the best brewers in Lexington, Kentucky and beyond. They are fortunate enough to live in an area where craft brewing is more than a hobby but a part of the culture; up there with UK Basketball, horses and Bourbon. At Mirror Twin, they consider the customers and fans to be a large part of their brewing and decision making process. To that end, you will see a constant change in our TWIN system of brewing where they rely on feedback to know what to brew next or what to keep available. 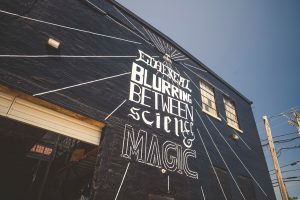 Ethereal Brewing – a new Craft Brewery and Tap Room in the Historic Distillery District of Lexington Kentucky. This brewery is a culmination of their long time dream to brew great beer beyond what they have made over the years for our friends and family. They are very passionate about good beer and that’s why their brewing philosophy is centered on making the best possible beer they can, sparing no expense on ingredients or our process. That’s why they are confident in exploring the funkier side of farmhouse brewing with a dedicated sour program – they feel the timing is right with more and more Kentuckians getting into craft beer and continually searching for something a little different from the norm.